While Mamma Mia! Here We Go Again doesn’t exactly defy critical analysis, breaking down its individual elements of script, characters and directorial style does feel a little beside the point, like going on a ride at Disneyland and then criticizing the plot. As a sequel to the 2008 smash-hit original, this is less a movie than an elaborate screensaver for your copy of ABBA Gold, a feel-good musical explosion of colour and sound. What little there is to say about its formal elements can be summed up quickly: Mamma Mia! Here We Go Again operates as both sequel and prequel, continuing the adventures of young, paternally confused Sophie (Amanda Seyfried) as she prepares for the grand re-opening of her Greek island, luxury villa. Meanwhile, frequent flashbacks tell us the story of how her mother (Meryl Streep in the original, now played by Lily James) originally founded the place, and met the many men who may have fathered her child. Mamma Mia! Here We Go Again is the rare kind of movie that actually benefits from being a sequel: With few new characters or locations, little needs to be explained or introduced. This leaves it free to operate as pure comfort food, pleasing its fans with characters they already love, doing the things they already know they like, with little in the way of plot or drama to bog it down. 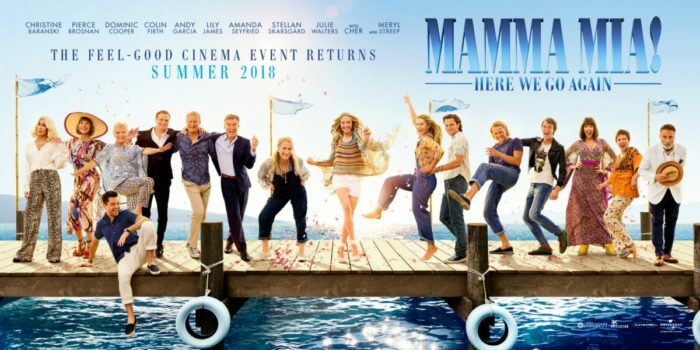 If anything, for this critic, that makes it superior to the original: Much of the hackneyed drama and half-hearted ‘mystery’ has been jettisoned, leaving a film that is more honest about what it is: Mamma Mia! Here We Go Again exists for its in-jokes, crowd-pleasing cameos and big musical numbers. It’s a movie made for fans who want to sing-along, cheer, and not much else. It is, inevitably, best enjoyed slightly tipsy. As a musical, it’s mostly successful: It sounds great, eschewing the recent, terrible Hollywood musical tradition of mixing its audio so as to bury subpar vocals beneath a sea of instrumentation. Vocal work from its two leads – Amanda Seyfried and Lily James – is exceptional, with the rest of the female cast generally strong (this includes Cher who – I am pleased to announce – has very much still got it). Unfortunately, it does also continue the original’s awful tradition of casting exclusively tone-deaf male cast members, to the extent that I can only assume it too is some kind of bold in-joke. Given that none of the new male characters are particularly big name actors – so they were presumably free to hire anyone, including unknowns – it’s just bizarre that their singing ability wasn’t a deciding factor. Two stand-out performances, one from Dominic Cooper and another from Pierce Brosnan, elicited a reaction in my audience somewhere between a belly laugh and a panic attack. I think everything you need to know about Mamma Mia! Here We Go Again, and whether it’s the film for you, can be gleaned from its poster: A row of pretty people you mostly recognise, goofing around and laughing at nothing under a blue sky. 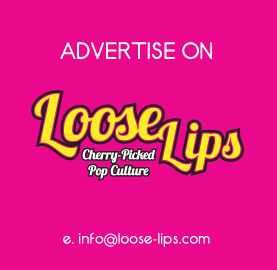 They’re promising you nothing more than catchy tunes, smiling faces and the lightest of light entertainment. And sometimes, especially in these dark and difficult times, that’s all cinema needs to be. This entry was posted on Friday, July 20th, 2018 at 6:08 pm	and is filed under Features, Film, Review.